Guarantee, shipping and return policies for Your Loose Teas. If you are not 100% satisfied simply contact us and send us the unused tea for a full refund of all costs including new shipping. Our pledge is a full refund or substitution upon return of the unused product within 60 days of purchase. We certify that all of our products are as described on our website using both photographs and text. We ship no inferior variations. We also believe that your shopping experience will be a secure and enjoyable one. If your shopping experience is substandard in any way, please contact us through any of the contact forms on this website or web store. We ship our products within 1-2 business days. Should a product be out of stock, we'll notify you of the delay immediately and ask if you prefer to cancel your order. An exception, if you place an order late Friday night, it may be shipped the following Monday morning. Our store allows automatic processing for all addresses in the continental United States of America. For other locations, please contact YourLooseTeas.com to discuss shipping requirements. We calculate shipping rates by the total weight of your order and the postal zip code to where your order is being shipped. Our preferred shipping method is the United States Postal Service's, Priority Mail. We reserve the right to substitute other carriers. In all instances, you will be contacted by email with shipping and tracking information. Upon receipt, we recommend that you unpack the contents and store them in a cool dark location, as appropriate, to maintain optimum freshness. The shipping boxes may not be suitable for storing your product after receipt. We store our teas in resealable, wax-lined, paper bags. On each bag, we print type of tea, weight, UPC bar code and our website address. We include brewing instructions as well and in PDF on our website. 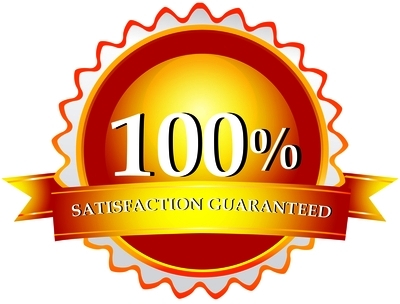 We offer a full refund or substitution upon return of the unused product within 60 days of purchase. If you are not pleased with your purchase, please call or fill out our contact form to resolve your order. If requested, add your telephone number and an experienced staff member will assist you. This website and its social networks contain general information about potential health benefits associated with organic tea use. We make every reasonable effort to ensure the accuracy of the information collected from various sources. You must not rely on the information on this website as an alternative to medical advice from your doctor or healthcare provider. The information provided here should not be used to diagnose or to treat any medical condition.